Leafy botanical patterns are clearly trending right now. 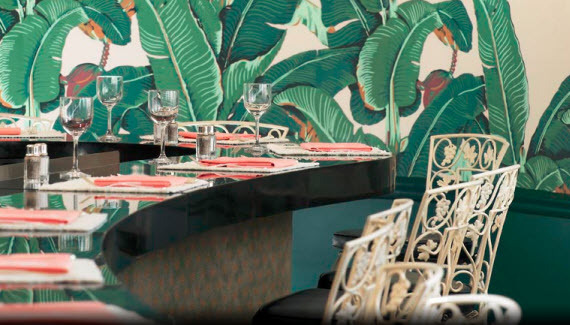 The banana leaf motif made famous by Harry Hinson’s iconic 1940’s Martinique wallpaper that’s all over the Beverly Hills Hotel is making a huge comeback. From home to fashion, the classic pattern is showing up everywhere. 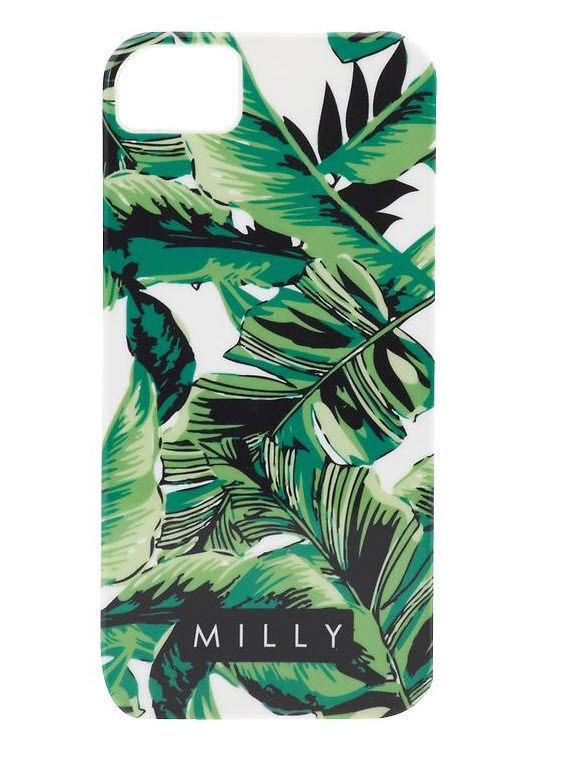 Even on iPhone covers (the one below is by Milly). 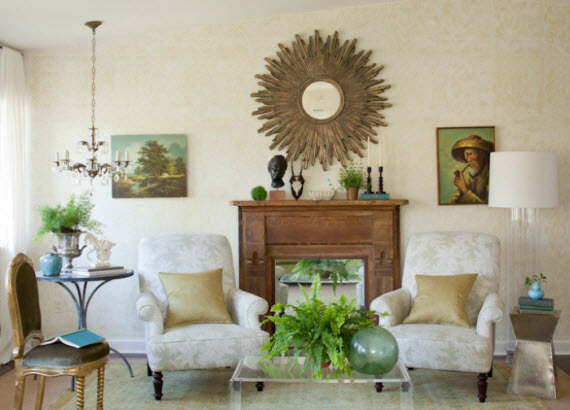 Although not as popular as the banana leaf, another trendy little green plant is the fern. This shade loving plane is much more refined in nature than it’s broad leaf friend, yet is also a fresh take on the color of the year. 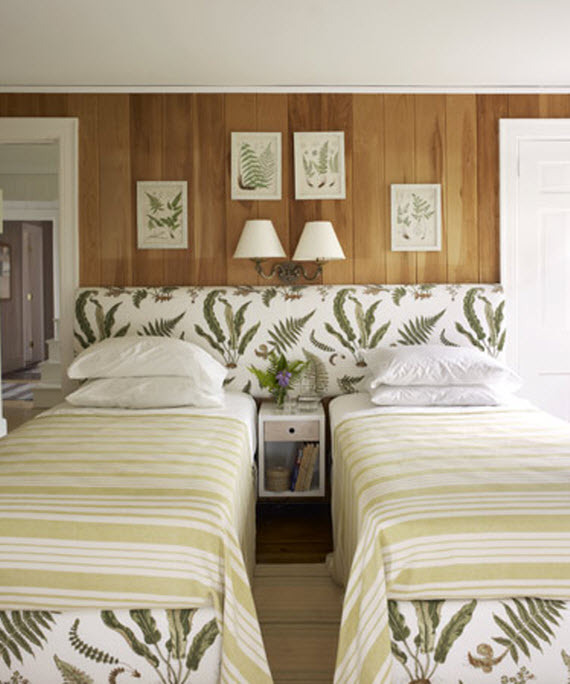 Over the past year I’ve noticed more and more fern patterns in interiors, like this bedroom designed by Tom Sheerer. 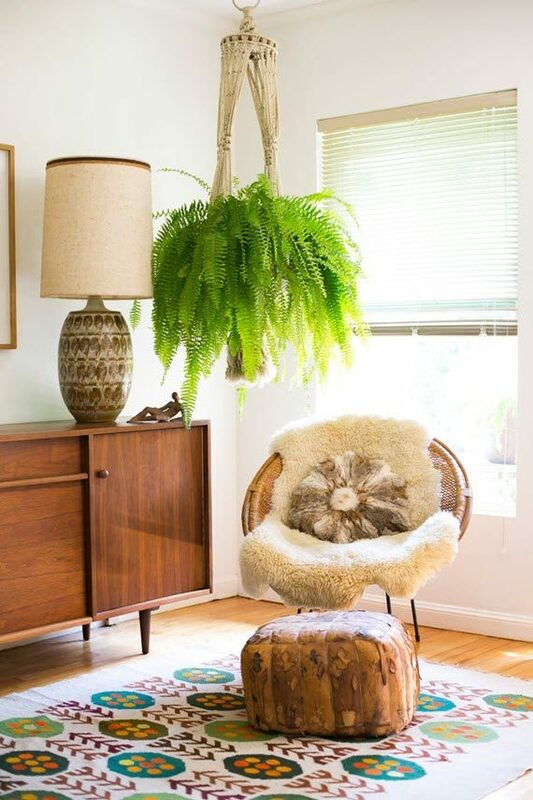 Of course there is nothing like adding a live fern or two to your home. They help naturally purify the air and Lauren from Pure Style Home swears they are the easiest plant to keep (this is her former living room above). 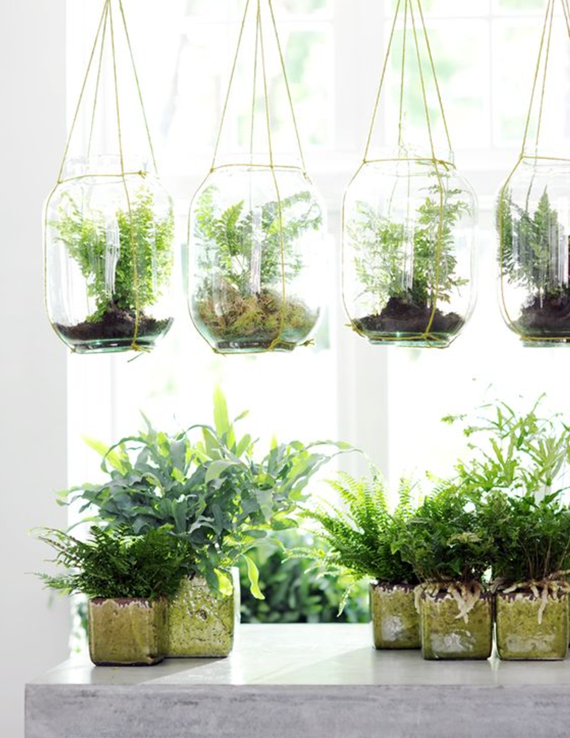 If you are curious as to which variety of fern may be best indoors, BHG has a great article discussing their favorites. 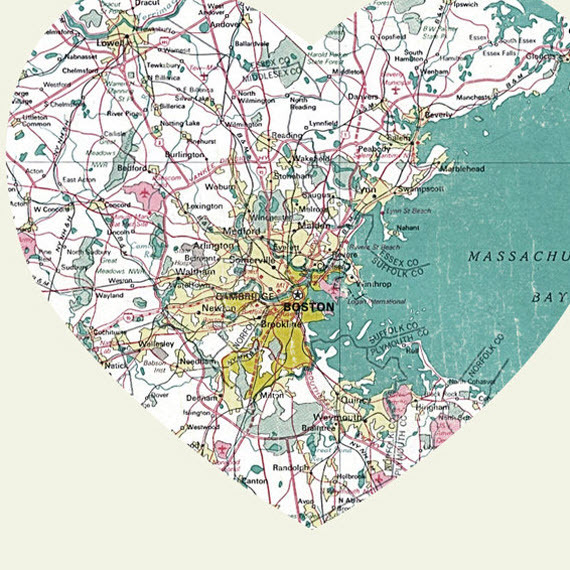 On a final note, my thoughts and prayers are with the victims and families effected by the horrific terrorist attack in Boston on Monday. I feel as if our nation’s wound from 9/11 has been torn open. May we all strive for peace within and with one another. disclosure: This post contains an affiliate links, which means Simplified Bee receives commission if you make a purchase using this link.